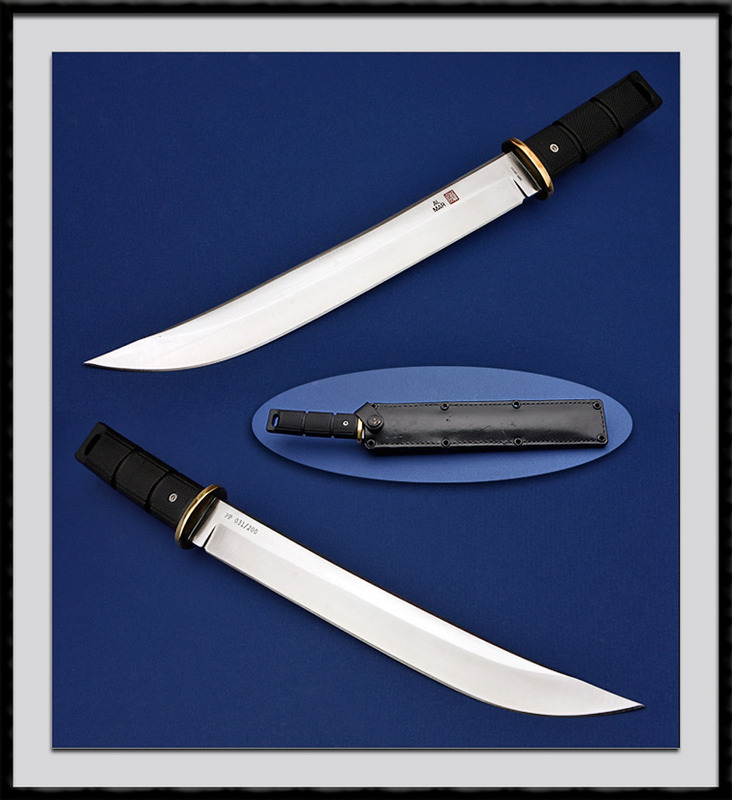 Al Mar fighter with a 10" blade, OAL = 14 1/2", Brass guard, Black composite handle. Comes with the Leather sheath pictured. Blade condition is Mint, sheath has a few handling marks.